Unlocking the mysteries of the universe is no problem for this character and his outsized intelligence. This wise looking dog is dressed up as one of the leading scientists and thinkers of the early twentieth century. Among many others, he came up with the theory of relativity. 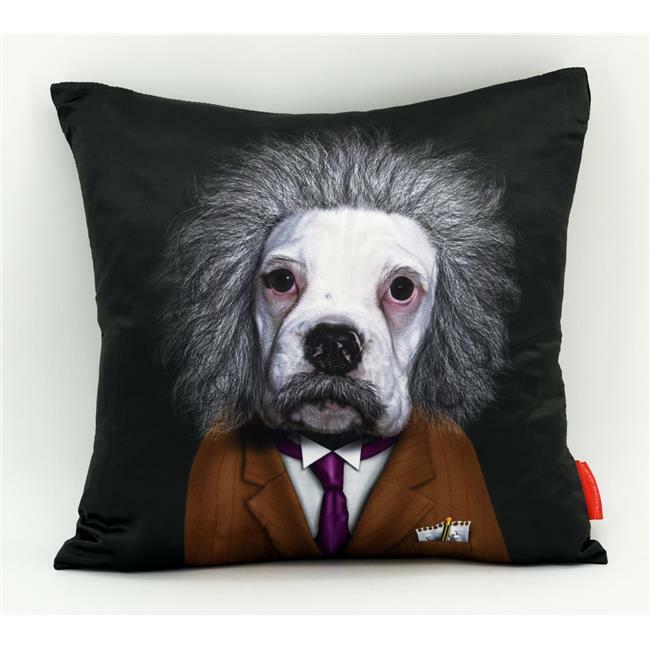 Are you smart enough to figure out the character this dog is portraying If you are, give your dog a bone and add the brain to your Pets Rock collection. Our 18'' x 18'' polyester faux silk pillows are filled with poly fiber and have high quality hidden zippers.